Be the first to share your favorite memory, photo or story of Ronald . This memorial page is dedicated for family, friends and future generations to celebrate the life of their loved one. A graveside celebration of life for former Wiley, Colorado resident, currently of Oklahoma City, Oklahoma , Ronald Gene Reyher will be held at 11:00AM on Saturday, April 6, 2019 at the Wiley Cemetery in Wiley, Colorado. Visitation for Ronald will be held on Saturday, April 6, 2019 from 8:30AM until 10:00AM at the Peacock Family Chapel. 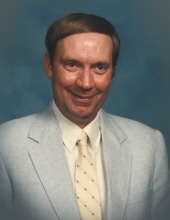 Ronald was born on August 14, 1946 in Alamosa, Colorado to Robert and Ruth Reyher and passed away on April 1, 2019 in Oklahoma City, Oklahoma at the age of 72. He was raised on a farm in Wiley, Colorado. He graduated from Wiley High School and attended Southwestern Oklahoma State University in Weatherford, Oklahoma. He served in the Army in the Vietnam War. He retired with the State of Oklahoma’s Employment Security Commission and then worked part-time at the National Western Heritage Museum. He enjoyed the outdoors, especially visiting the Gulf of Mexico for fishing, and sightseeing in the Colorado mountains. He loved gardening, music, movies, watching college sports, and studying history, especially Native American history. He is survived by his daughter, Anna Marie Wilcox; his son, Wes Reyher; his son-in-law, Brent Wilcox; his daughter-in-law Cricket Reyher; seven grandchildren: Shannon Diaz, Chris Diaz, Cody Reyher, Kitty Evans, Madi Evans, Jonah Wilcox, and Adelaide Wilcox; and two great grandchildren: Maelynn Diaz, and Freya Diaz. Local services are under the direction of the Peacock Family. To send flowers or a remembrance gift to the family of Ronald Gene Reyher, please visit our Tribute Store. "Email Address" would like to share the life celebration of Ronald Gene Reyher. Click on the "link" to go to share a favorite memory or leave a condolence message for the family.